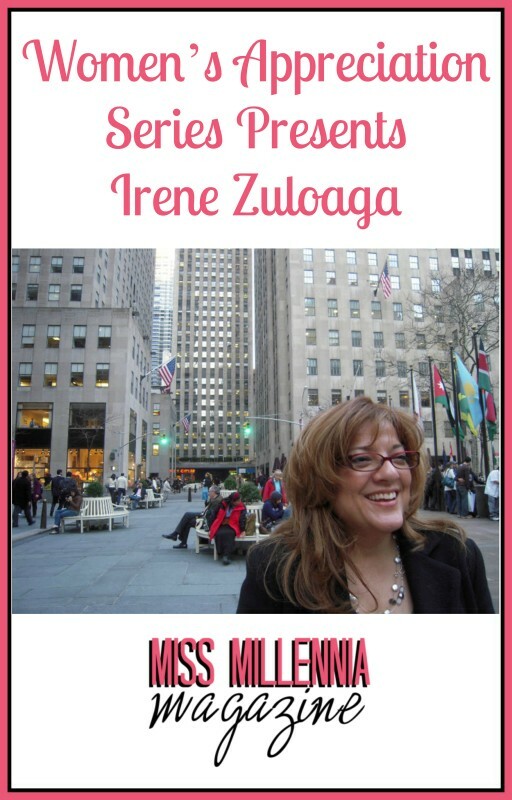 Born and raised in the small city of El Paso, Texas, Irene Zuloaga is a true marvel of her time. She has faced discrimination, on multiple platforms, due to her Hispanic heritage and by being female, but has risen above all odds to become one of the top managers at one of the largest communication companies in the country. However, if you were to ask her, Irene’s most proud achievement is her family. A single-mother, Irene has raised her two children who she continually supports and motivates so that they can achieve their dreams. I sat down with my mother and managed to pick her brain for how she has achieved such success, both professionally and personally. Miss Millennia Magazine (MMM): Tell me a little bit about yourself and what you do. 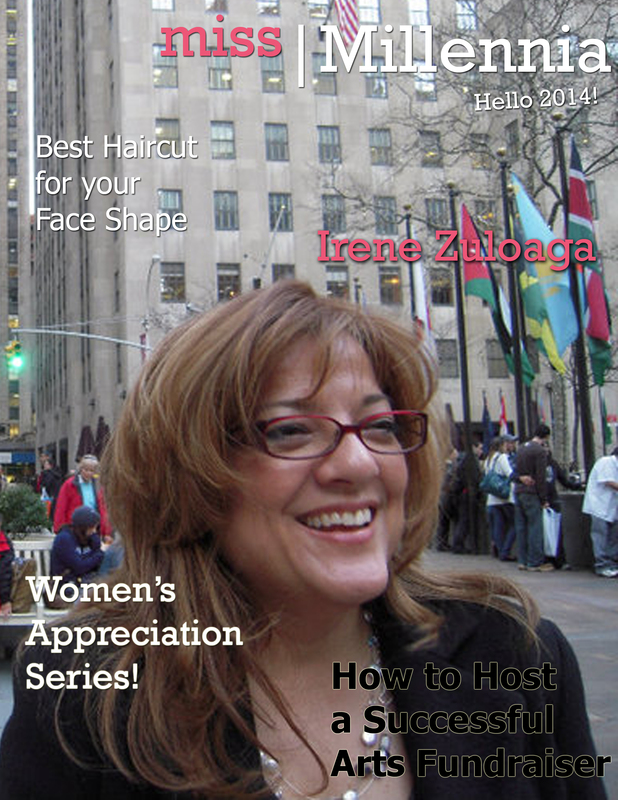 Irene Zuloaga (IZ): I am a first-generation American, the youngest of five siblings, a graduate of UT Austin with a career in global business communication and am a proud mother of two gorgeous children. I enjoy traveling, photography, and music. MMM: In a field where you work with a lot of male presence, what do you feel is your advantage as a woman? IZ: I would say my advantage is the skill of listening to all sides of the argument. Empathizing with my customers and my peers, the use of logic, and fair analysis even in a high-pressure environment. IZ: Four things: 1. Have confidence. 2. Go after and stick with a career or job that motivates and inspires you. 3. Don’t play it safe, don’t be afraid – it will work out. 4. You know more than you think and usually more than the others in the room! MMM: How do you want your work to affect others? IZ: I want people be inspired to increase success. IZ: Not knowing what I want to drive toward next. MMM: How do you hope to inspire others? IZ: Increase confidence in one’s own abilities, knowledge and drive. MMM: How do you overcome obstacles you encounter in life? IZ: Planning and taking it one step at a time. MMM: Who is someone that has been the most influential to you? IZ: My eldest sibling. She has unequivocal integrity, is extremely calm and is always truthful. MMM: What prompted your career goals/passions? IZ: Trying new things and meeting new people. MMM: What is your education/experience? IZ: I graduated from the University of Texas at Austin with a B.S. in Communications which led to 24 years of experience in global business management. MMM: If you could teach your children one thing, what would it be? IZ: Go after your dreams and do what makes you happy. IZ: Adapting to the balance of letting go to allow their growth (decision-making, etc.) and knowing when to pull back reigns and be the parent. MMM: Are you scared of how the Internet can affect your children? IZ: When they were younger, yes. Not anymore as they are both young adults. MMM: What do you hope for your children’s futures? IZ: Happiness – that, to me, is success. IZ: Enjoy each day and event, make some one-on-one time with your kids, even if 15-30 minutes each night with each of your children. Time goes by too fast. MMM: Do you know of any good reads for moms? IZ: “Lean In” by Sheryl Sandberg. It’s an excellent dialogue of how we distinctly raise and have different expectations of our daughters and sons. Also, how we as adults repeat or fall under cultural dynamics sometimes unnecessarily. MMM: Are your parenting skills inspired by anyone? IZ: Doing something you enjoy, away from phones, computers, etc. For me, walking is a really nice way to decompress and get out of my own head. MMM: Lastly, what advice would you give to other female professionals who are striving for success in their jobs and careers? IZ: Honestly, my advice would be the same as I’ve written before. Increase your self confidence and know that you know just as much as anyone else in the room. Don’t think that you’re at a disadvantage or know less. Also, seek out mentors that you trust and respect to help you. Don’t hold back or be afraid to seek out advice in order to better yourself because, usually, they’re willing to help. Seek out the advantage and the advice – you’ll never be sorry you did. Previous Post: « Movie Review for "American Hustle"